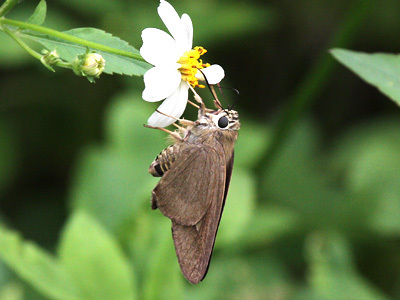 Calpodes forulus Hubner, : Verz. bekannt. Schmett. (7):107, n.1147. Badamia exclamationis ; Godfrey,1916 : 146. Badamia exclamationis ; Nakamura & Wakahara,2012 : 57. Badamia exclamationis ; Metaye,1957 : 78. Mae Hong Son : 1♂ 2♀. Chiang Mai : 6♂ 3♀ (incl.photo). 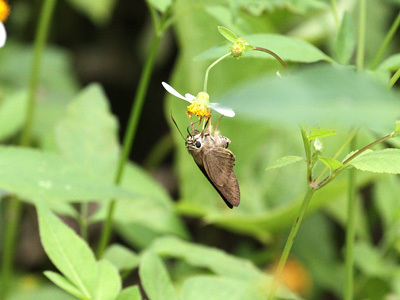 Savannakhet : 1♂ (photo by H.Onodera). Fabricius, J.C.,1798 : Entomologia systematica emedata et aucta. secundum classes, ordines, genera, species, adjectis synonymis, locis, observationibus, descriptionibus. Supplemente : [iv] + 572 pp. Copenhagen. C.G.Proft. Hubner, J.,1816-1826 : Verzeichniss bekannter Schmettlinge. Felder, C.,1860 : Lepidopterorum Amboinensium a Dre L. Doleschall annis 1856-1868 collectorum species novae, diagnostibus collustratae. (1) Sber. Akad. Wiss. Wien 40(11):(447)448-462.